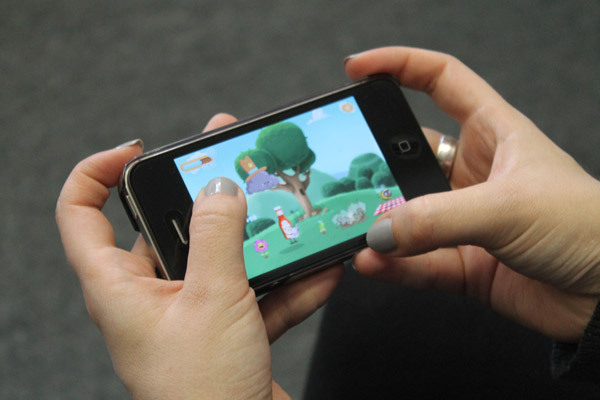 We’re so unbelievably excited to announce that Nimbus and co are officially coming to an iPhone near you in the VERY near future. We submitted the latest build to Apple today, which includes all kinds of goodies (iPhone capability, a new world, more comics, a new Nimbus backstory… can you tell we’re excited?!?). We’ll be sure to let you all know when this super-sweet new build is approved and up in the app store. Stay tuned! Kidding! 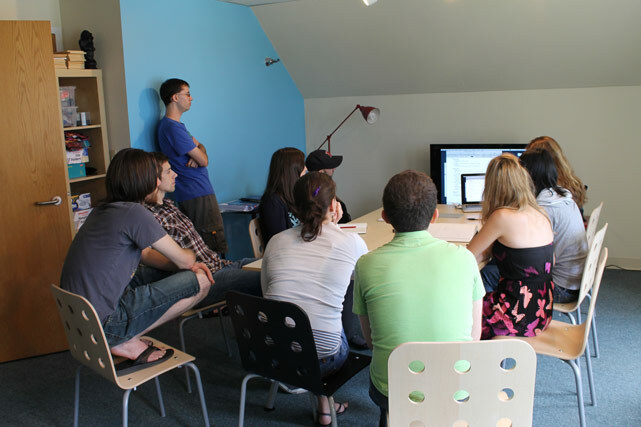 It all started back in August of 2011, when the gang at CloudKid gathered for our first “Game Jam” (a day that we take off from regular work with the focus of creating one or many games). Since we put absolutely no parameters on what we would be creating that day, we had no clue what would result. 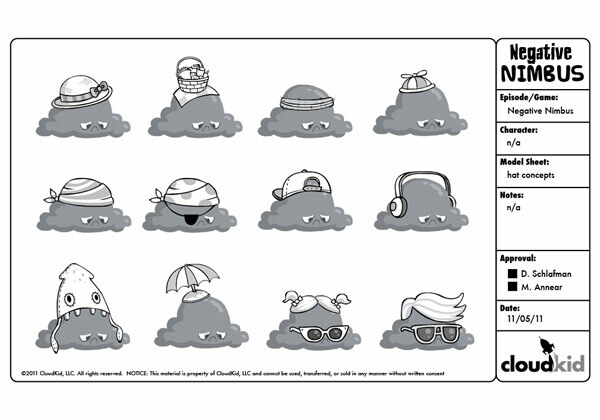 After a morning chock-full of brainstorming sessions (as pictured above), we landed on an idea that we all felt had some promise: a game starring a sad rain cloud who doesn’t want to rain on anyone. Over a year later, we’ve been through a lot with our lovable little Nimbus. While our game jam really just resulted in an idea, a rough prototype and some concept sketches and design explorations (pictures of which after the break), it helped plant the seed for a game that we were all excited to work on. Since the initial game jam, we’ve continued to grow this project from a rough idea into an app that we were all extremely proud to release last week. Continue to check back here for more details on Nimbus’ growth to the cloud we all know and love! We may even show a baby picture or two! After a year of crafting little Nimbus into the cloud we all know and love, we’re proud to announce that he’s finally available in the app store. We’ve also released a new gameplay trailer (above), featuring Nimbus in action. We’re so excited for Nimbus as he sets off on this journey to iPads around the world! 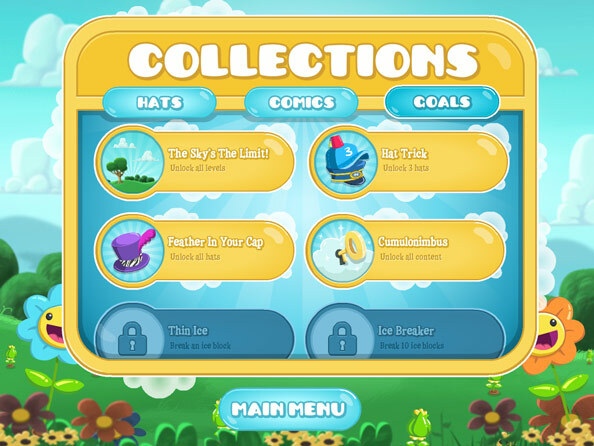 Please check out the game, and help spread the news about Nimbus’ app store debut. As you know, Nimbus can use all the love he can get! And please stay tuned here for more behind-the-scenes updates, along with additional info on Nimbus’ path to iPhones and Android devices. 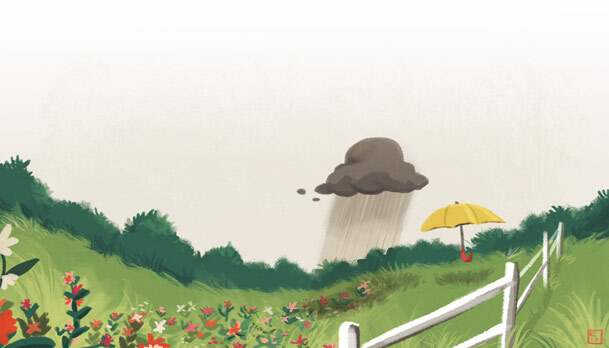 One drop of rain in our otherwise happy bucket: the in-app comics are slightly delayed due to technical difficulties. The issue has been resolved, and we’re just waiting for Apple to approve Version 1.1. We’ll update you as soon as that happens, but in the in the meantime, please enjoy another sneak peek of these comics after the break. Happy playing from all of us in Sunnyland! 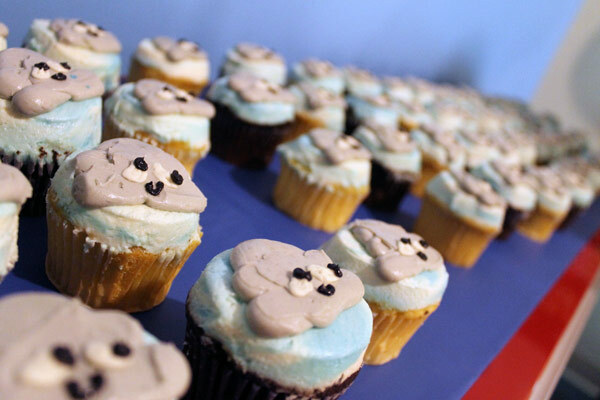 In honor of Nimbus’ App Store debut this Wednesday (October 17th), we decided to throw our favorite rain cloud a pre-launch party. On Friday night, CloudKid friends and family packed into our sunny studio to enjoy Nimbus cupcakes, coloring pages and, of course, the game itself. A great time was had by all. Even Nimbus himself, who hung out right outside the windows (he was worried about flooding the party if he came in), appeared to be having a good time. Check out the photos from the shindig in Nimbus’ first Facebook album, and be sure to check back soon for the amazing art that came from our “Create Your Own Nimbus” coloring pages. Did you know that Nimbus is one fashionable dude? 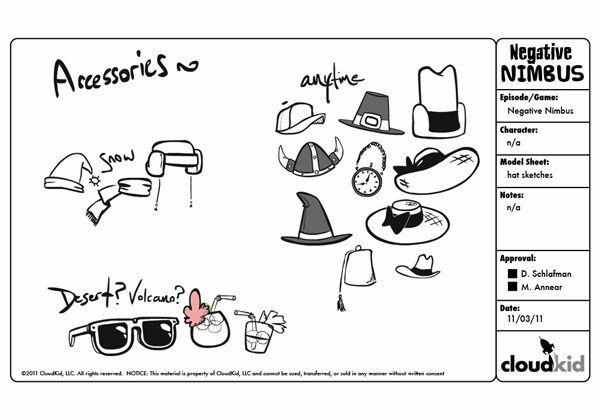 Below are some concept sketches of accessories, hats, and other fun costumes that we thought Nimbus would look amazing in. You’ll have to check out the game to see which fashions made the cut as in-game collectibles. We’ll tell you one thing, though: this cloud has some serious style! Just like Nimbus and Bill, we’re big fans of collaboration! So, we thought it would be really neat to see other artists’ interpretations of the Sunnyland crew. The illustration above was done by the talented Louie Zong, CloudKid’s intern and all-around rock star. Louie also pumped out a couple of other Nimbus-themed illustrations, including this amazing one that he shared on his own site. We’d love for this to be the first of many Nimbus interpretations done in various artist’s styles. Check back here in the coming weeks for more features, and please don’t hesitate to send us your own drawings here or via Facebook. Happy drawing! Fun fact: One of our animators (Tim, on the right in the photo above) is both the voice of Nimbus and Bill the Umbrella! Below are some great audio sneak peeks from one of our early recording sessions for Negative Nimbus. Oh, Nimbus…don’t be so glum!